Apex Laboratory provides services to more than 23,00 physicians in New York and South Florida. 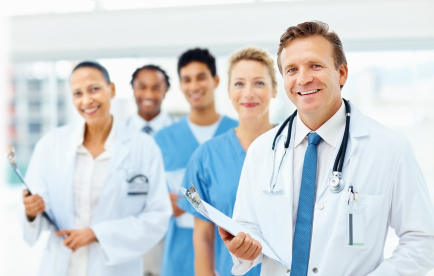 Physicians of all specialties use Apex to assist them in providing the highest level of quality care to their patients. They can be closely monitored without having to make unecessary trips to the hospital or laboratory for testing. Manage patients coumadin, check renal functions or schedule annual labs without them leaving their home. Offering your patients that option to have their blood tests drawn at home is just one of the many reasons why so many practices use Apex for their laboratory needs. Apex's variety of patient managagement solutions allows for practices to pick and choose those that will work for them. Linking physicians to a group practice allows for easy access to all physicians without having to log in and out under seperate accounts. Whether your group practice is two doctors or 15 doctors, it provides an easy way to streamline office efficiency. To link your practice together, submit and inquiry or call and speak with your regional representative.